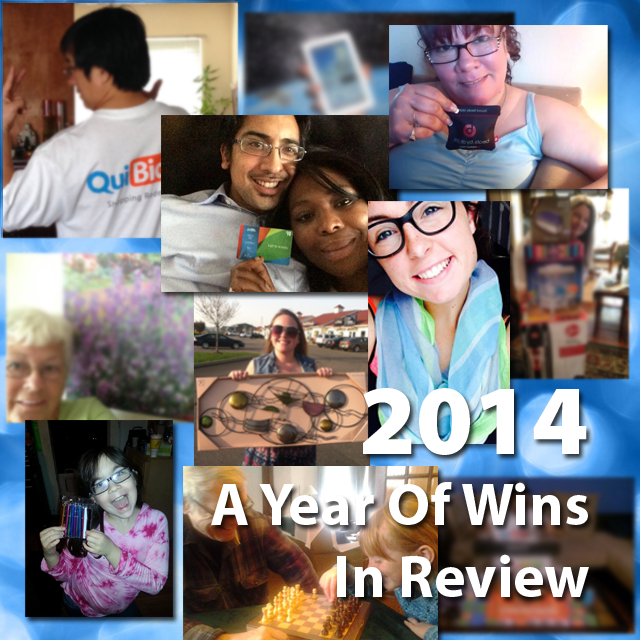 2014 was a great year for QuiBids! We hit our one billionth bid, added lots of popular merchandise to our product selection, and helped to make shopping fun for thousands of bidders. As we enter into a new year, we’d like to take a moment to showcase some of our favorite wins, as told by customers like you. Keep reading for a look back at some of the memorable customer wins. “I don’t know how I won the Shop Vac for just one bid… I guess everyone was asleep!? I also won an iron for 10 bids, 1st set of flatware was won using 14 bids, and the second set was won 2 bids — but they didn’t match. So I won a third flatware set for 5 bids and this time I made sure it matched one of the other sets that way I could put the 3rd set under the Christmas tree as a gift. I thought the Kitchen Clock was so great and won it with 138 bids. QuiBids says it could take a week, or even a month, to get it, however mine arrived in only 4 days! I also had a $50 Fanatics Gift Card which I won with 57 bids and a $50 Wal-Mart Gift Card that I won for 487 bids under my tree as gifts as well. 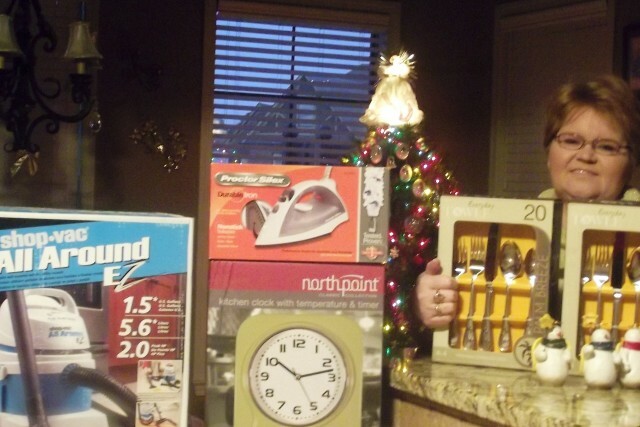 It was a very Happy QuiBids Christmas at our house!” said Connie. “This win was my very first win, just a few minutes after signing up. I won this item with my very first bid I ever placed, and yes it only took one bid (SO EXCITING)! I also won a game with this victory. I got the item for 60 cents with one real bid. FREE besides that because the price total was under 50 cents for the bid. Originally the value of the toy was 29.99 plus the free game value so I saved all minus 60 cents. 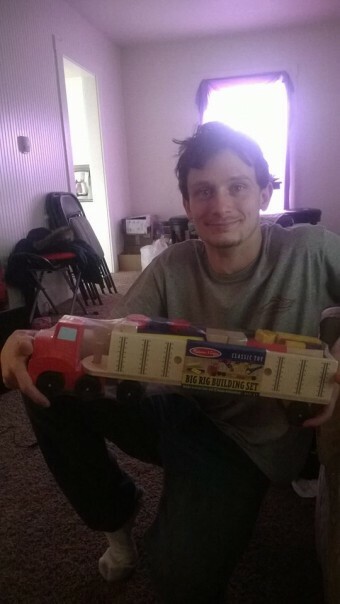 This item is a gift for my friends son. His birthday is coming up soon. 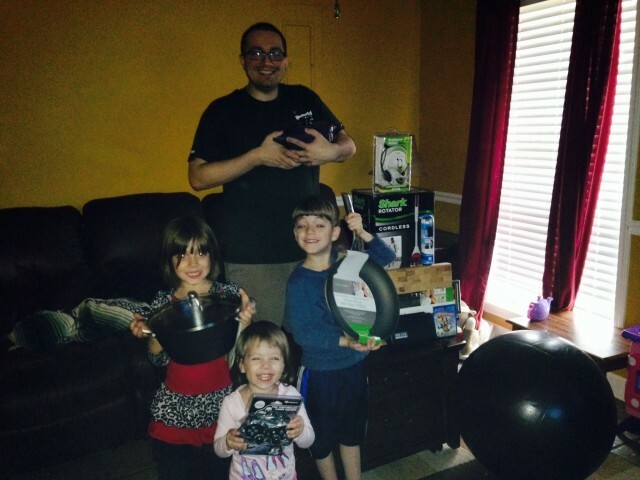 Thank you QUIBIDS for a great start on my bidding.” said Justin. “These are all of the items I had won on QuiBids from February 12th to February 16th, sans the XBOX ONE and Dead Rising 3. Although I have many more items coming in over the next week, this is what I do have now: Cat Cora Maple Wood Chopping Block, Cat Cora Fry Pan, PS3 Camo Controller, Starfrit Cast Iron Dutch Oven, BergHOFF Enameled Cast Iron Stock Pot, Trimax Weight-Shift Ball, Shark Cordless Vacuum, Dreamgear XBOX 360 headset, Little Deviants PSVITA Game, jWin Bluetooth Headset, and the Herf-a-dor/ Ave Maria combo (won January 29th). My kids are helping me showcase the wins and we are all happy with what was won, including what is to come.” said Erich. Post by Blanca Isabel Valdes. In 2015, we will continue making slight tweaks to our auction model to allow for more winners and an overall better experience for our customers. What change would you like to see in 2015? Leave a comment and let us know!